Need Parts For Your Japanese or Chinese Machines? 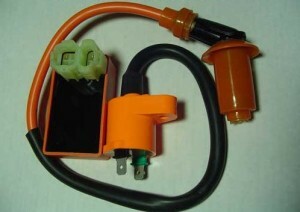 Need Chinese Scooter Replacement Parts? Scrap that limited stock CDI and drop in this unlimited performance CDI with no governer, and an advanced spark timing. 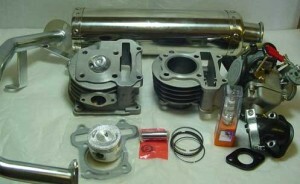 Top end assembly kits available in: 50cc / 60cc / 80cc / 100cc / 105cc. Give us a call to discuss your performance upgrade goals and we will help you pick the kit that best suits your needs. Gas charged, remote reservoir racing rear shock. 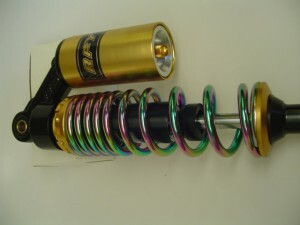 Fully anodized aluminum with heavy duty springs greatly improves road handling and bottoming out. Works and lasts longer than original. 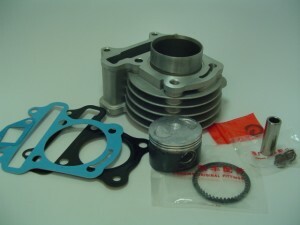 Big Bore Kits, Performance Exhaust, Iridium Plugs, Performance Carbs, Performance Clutches, & More! Gotta have every upgrade possible? Visit us for all the upgrades you need or want. We have a selection of top end big bore kits, performance exhaust systems, and many other options. Contact us for help deciding what will work best for your needs without spending more money than necessary. We are here to help you get the performance you want while watching your budget!